Edom Dead Sea Cosmetics cleansing bar, rich in minerals and contains approx. 25% black mud. 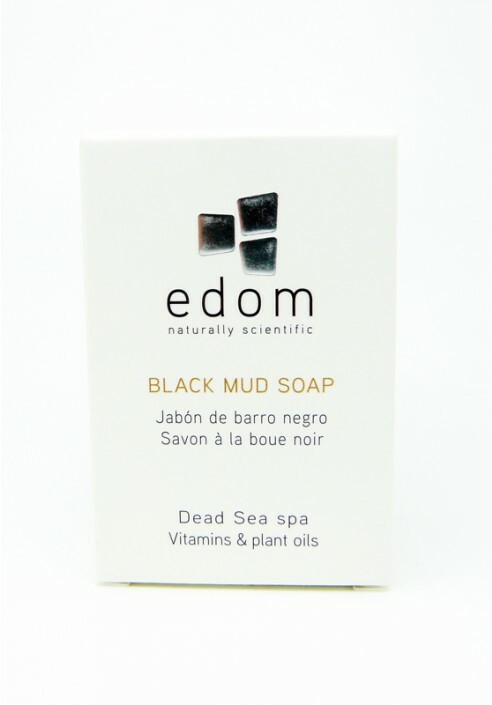 For normal to oily skin Edom Dead Sea Cosmetics cleansing bar, rich in minerals and contains approx. 25% black mud. 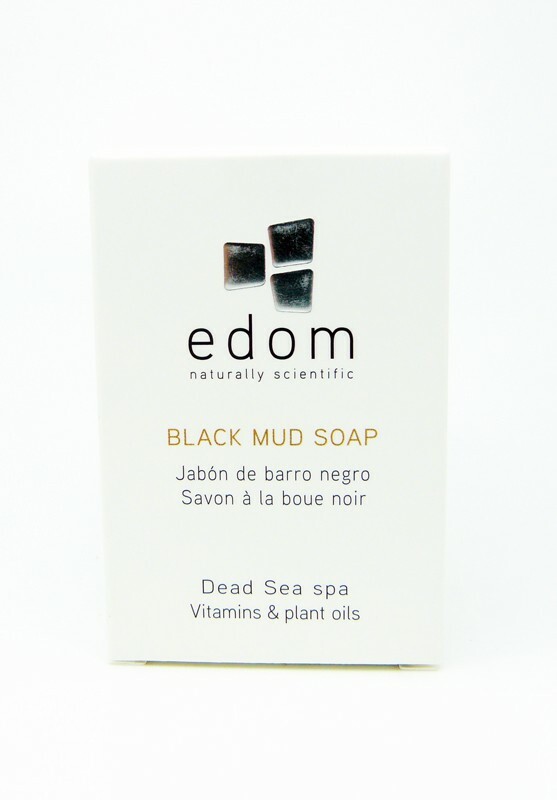 Edom Dead Sea offers treatments with “100 percent natural ingredients. Can be used both for face (oily skin) and for the body. The deep cleansing action of this health & beauty soap, leaves your skin fresh and revitalized. Biodegradable. To complete treatment, it is recommended to apply mineral moisturizing cream after cleaning the face with the soap or body lotion when used for the body. The main goal of these skin care treatments appears to be to improve blood circulation beneath the skin, reduce wrinkles, moisturize the epidermis, protect from the sun, minimize crow’s feet, remove impurities and assist with overall skin radiance. Use the soap on the entire body, for shower, bath or washing hands.